Happy Friday guys! We are excited about a long weekend here in sunny yet, chilly Miami. I do not want the weekend to pass by without talking to my children about Dr. Martin Luther King Jr. They need to know that it is not just another day off. His dream and persistence opened the door for so many people. 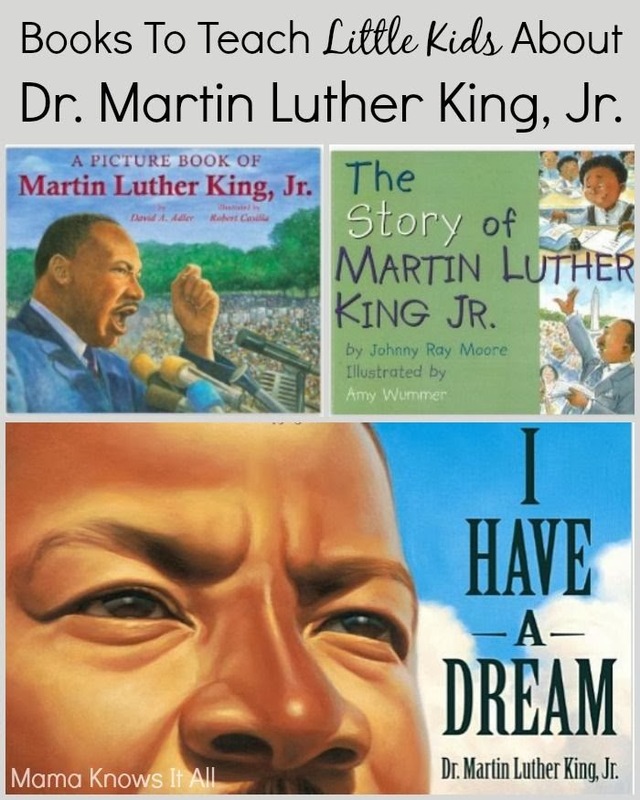 I have a dream that my three kids will never have to experience racism and inequality. I searched the web and found this great Mommy blogger that suggested these fabulous books for educating young kids about Dr. King. I hope you enjoy your weekend and stop by her site. Happy Birthday Dr. King!!!! Visit www.mamaknowsitall.com and tell them I sent you!